When you put a card on top of your deck, turn this card over. Twilight Sparkle used to think that magic and friendship were completely separate concepts. 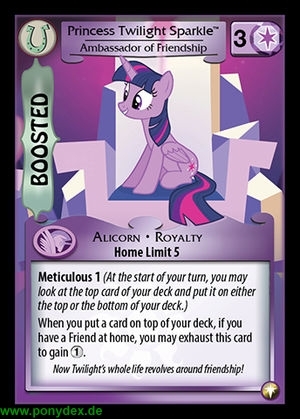 When you put a card on top of your deck, if you have a Friend at home, you may exhaust this card to gain 1 action token. 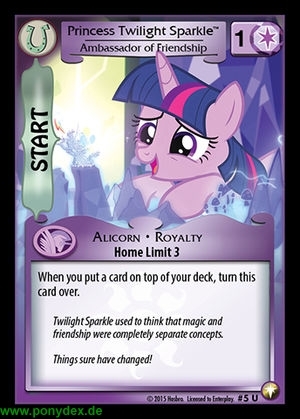 Now Twilight's whole life revolves around friendship!